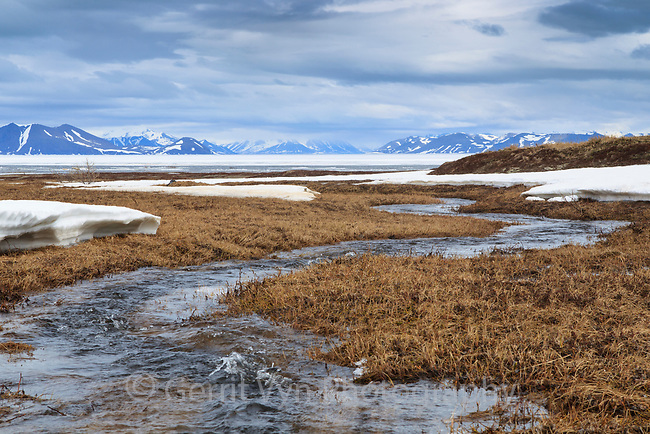 Spring snow melt in an Spoon-billed Sandpiper territory occupied in previous seasons. A pair later occupied this territory and was the first pair ever filmed at the nest. Chukotka, Russia. May.